Angela is a full-time working Mama living in Adelaide, Australia with a background working in events and a degree in early Childhood Education. However, of all the jobs she has had, her favourite is being Mama to almost two years old Louis. She also styles and works on Instagram collaborations, so she is pretty busy – but wouldn’t have it any other way as she has always been a creative person and found a real passion for styling and decorating since Louis came along. 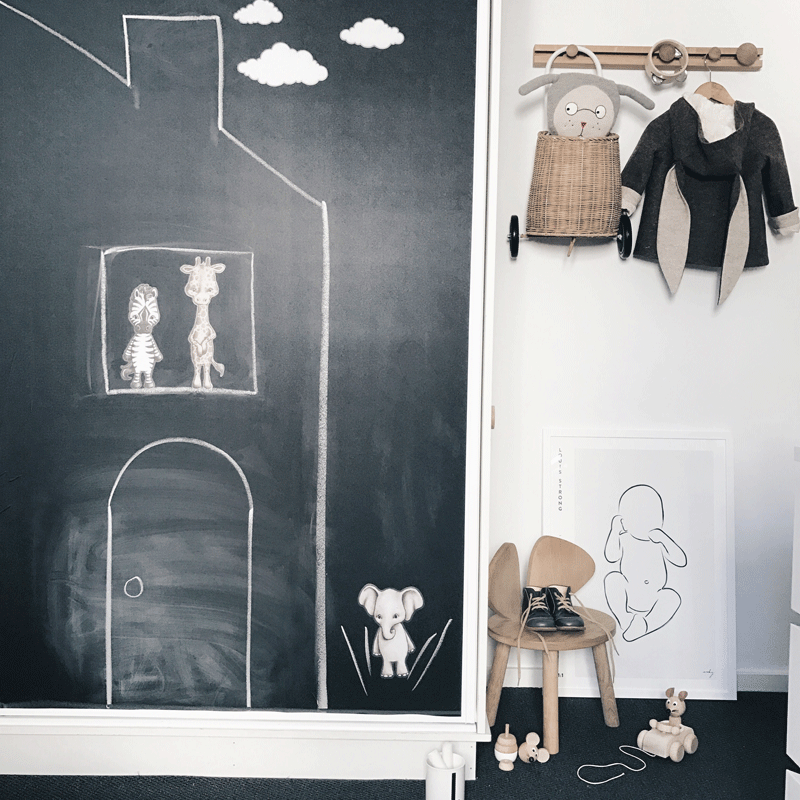 She kindly answered some of our questions and shows us how she styled her son’s stylish and playful space. DID YOU HAVE A SPECIFIC THEME OR STYLE IN MIND FOR LOUIS’ ROOM OR DID IT DEVELOP NATURALLY? Yes, from the beginning I had the theme of safari animals inspired by Scandi design with neutral tones. 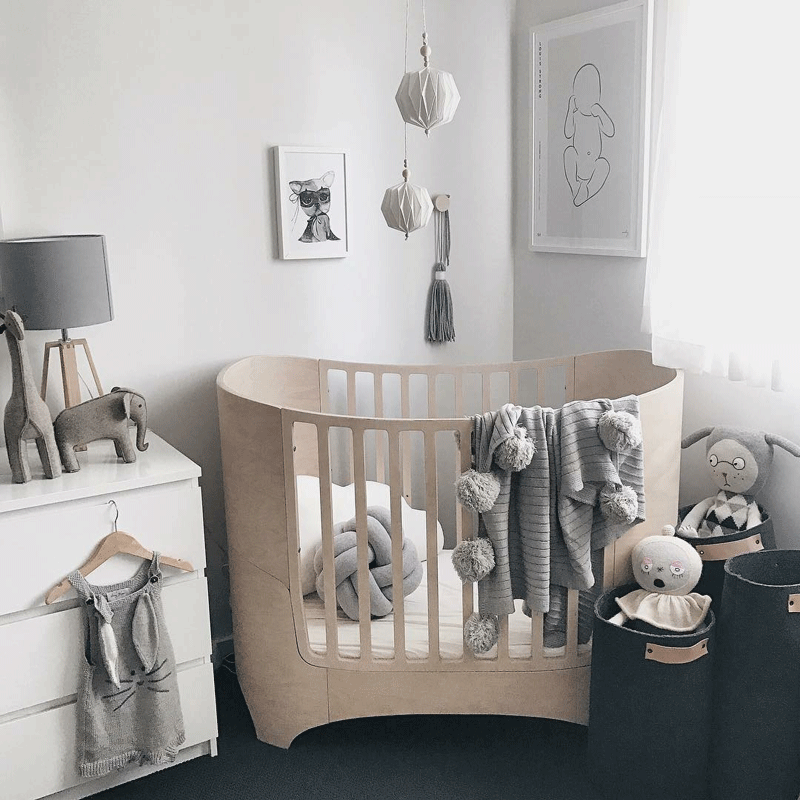 When Louis was about six months I started adding a touch of boho and had a play around with some fun pieces before I decided I wanted to stick to just the Scandinavian elements. There is just something about the simplistic and minimalistic Scandinavian designs that make my heart skip a beat! WHAT ARE YOUR AND LOUIS’ FAVOURITE ELEMENTS IN THE ROOM? 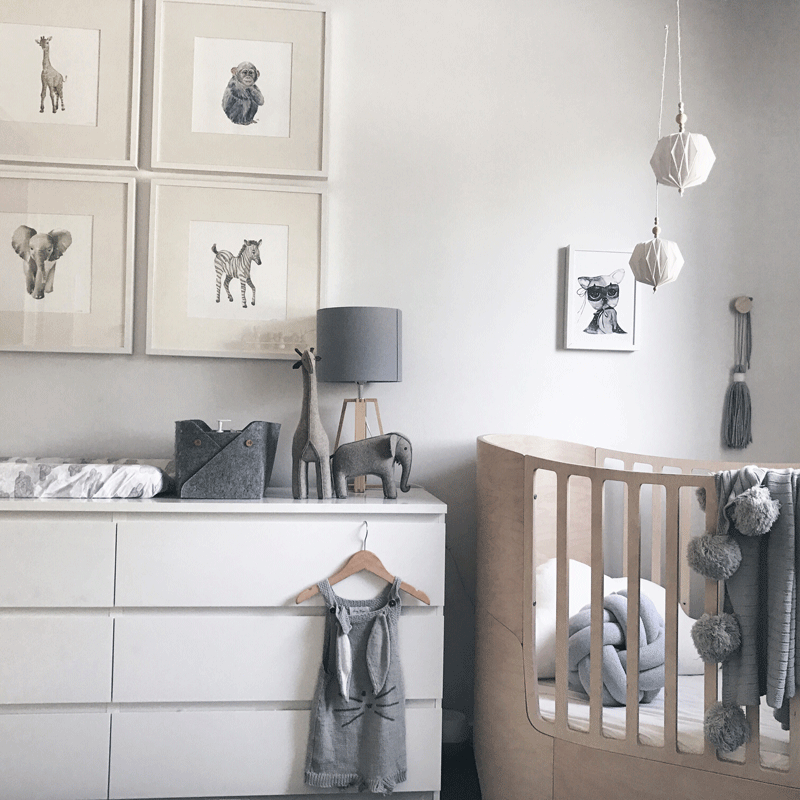 For me it has always been our Leander cot, it still gives me all the googly heart eyes every time I look at it… it’s just such an iconic Scandinavian design which I love! And the fact that it can grow with Louis and transform into a bed not only makes it such an aesthetically beautiful piece but so practical. 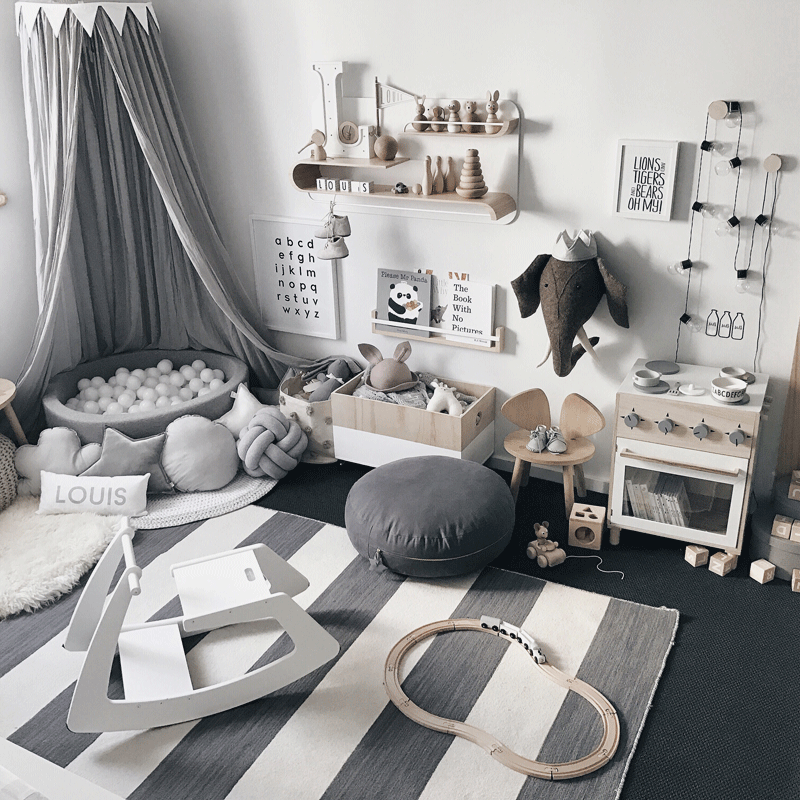 For Louis I would have to say all the different play pieces such as our Jupiduu indoor slide and rocking horse, Misimoo ball pit, Bloomingville play oven and blackboard feature wall. It is such a small room but I’ve packed in loads of fun features appropriate for his age right now. 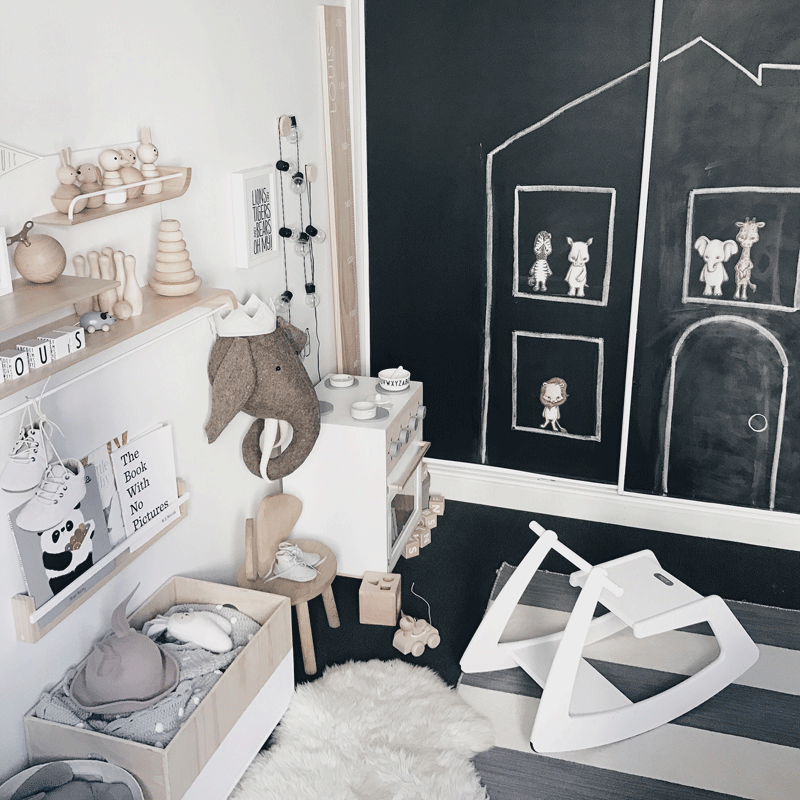 WHAT DO YOU CONSIDER TO BE THE MOST IMPORTANT ASPECT TO CONSIDER WHEN DECORATING A TODDLER’S ROOM? 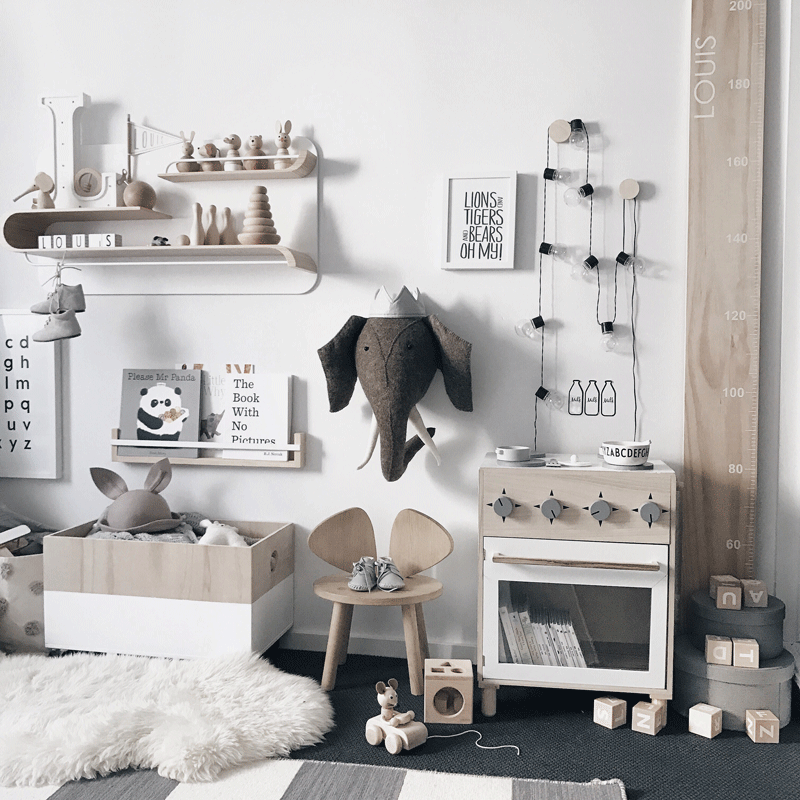 Creating the different zones and points of interest makes the space exciting as children can work between the different zones. I also encourage Mama’s to move zones around. Sometimes children get stale seeing something in the same spot, however when moved around to a different corner in the room it’s amazing how it can spark their interest and curiosity, and an old toy becomes new again. As the child grows zones can change and be added to depending on the child’s personality, interest and what is age appropriate. 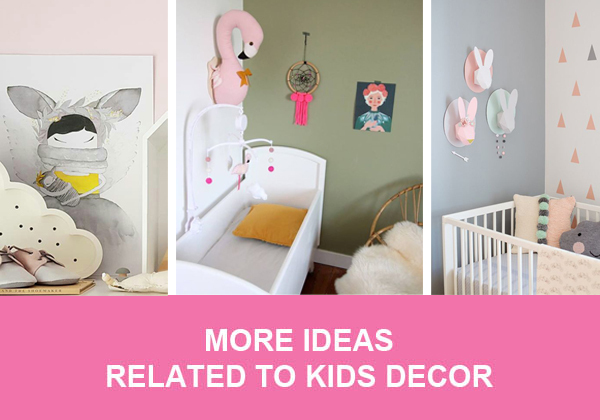 WHICH ARE YOUR FAVOURITE KIDS DECOR BRANDS AT THE MOMENT AND WHY? 1. Jupiduu – Our rocking horse from Honey Tree Baby has been a hit with Louis from the moment he first jumped on! 3. By Christine Hoel – Have you seen the gorgeous prints from this talented Mama? We have a few from her collection and absolutely adore the characters she has brought to life! Adding and changing prints is such an inexpensive way to give a room a new look. CAN YOU TELL US A LITTLE ABOUT HOW YOU COLLABORATE WITH BRANDS ON INSTAGRAM? It really has been so much fun collaborating with so many different brands and stores on Instagram. Brands usually get in contact with me with specific products in mind, and stores will sometimes have particular products or will let me choose what I would like to work with. Collaborating with brands and stores on Instagram was something I started with whilst on maternity leave. Now having gone back to full time work, it has changed the number of collaborations I do. More times than not I simply just don’t have the time to take on new collaborations. I’ve taught myself to be really strict to make sure I don’t overload myself and ensure that I continue to keep a good balance between work, family time and me time! And no matter what I only take on products and brands that I really do love and believe in and want to share with my followers. It has been a tough juggling act at times however by being super organised and keeping to strict timelines I’ve been able to make it work and it’s been a fun and creative outlet for me.